Raw on $10 a Day (or Less! ): Winner of the Raw Food Made Easy Giveaway! 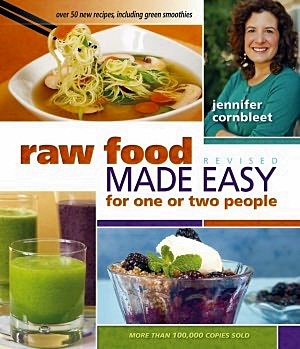 Drumroll please ... we have the winner of Jennifer Cornbleet's Raw Food Made Easy for One or Two People! The winner is RED from Romania! Congratulations, RED, and I'll be contacting you for your shipping info! BTW, Jenny has an AWESOME new ecourse called Ready for Raw! Take a look at the course, HERE!